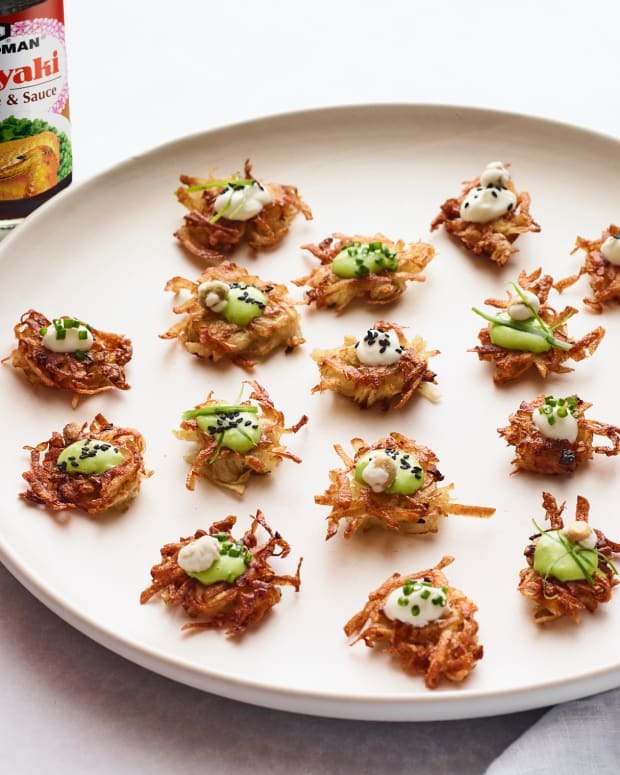 Potato skins go Asian in these mushroom stuffed, crispy potato skins perfect for your next dinner party, game day party, or even afternoon snack. 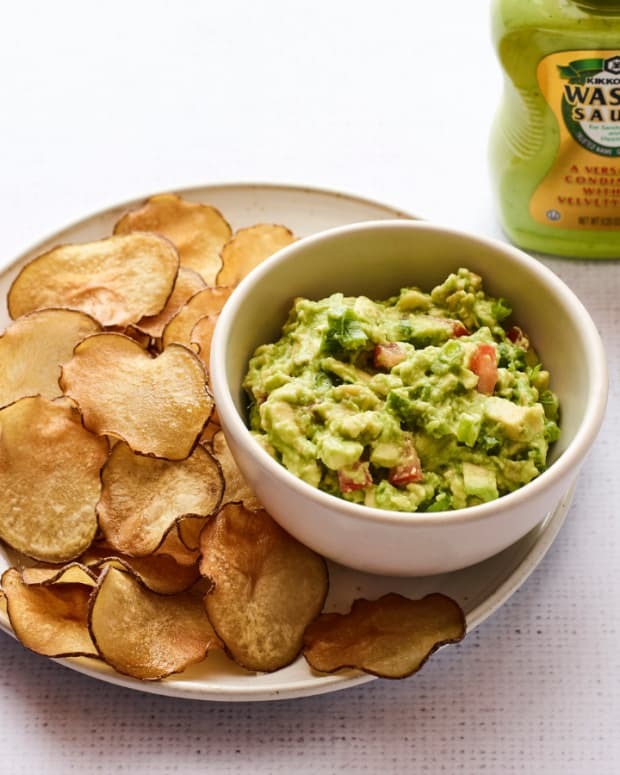 Use the leftover potato flesh to make these Wasabi Mashed Potatoes. Boil potatoes whole until fork tender, drain and cool. When cool enough to handle, cut potatoes in half lengthwise and carefully scoop out flesh, leaving a ¼-inch border of flesh and skin intact. Save flesh for another use. Preheat oven to 400°F. Place skins, skin side down, on one side of prepared baking sheet. 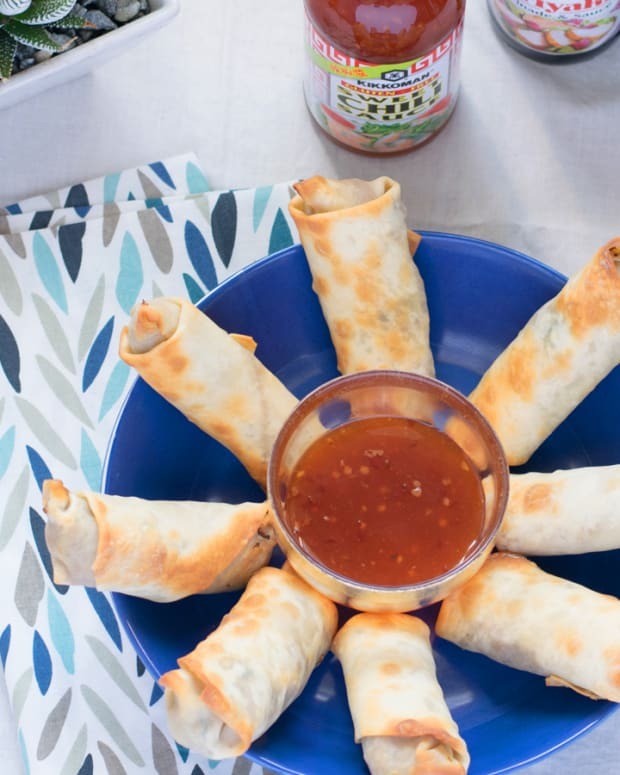 In a small bowl, combine teriyaki, scallions, garlic, sriracha and melted butter. Brush the mixture over the potatoes and roast for 10 minutes. Remove baking sheet from the oven and add mushrooms. Pour remaining mixture over top and increase oven to broil. 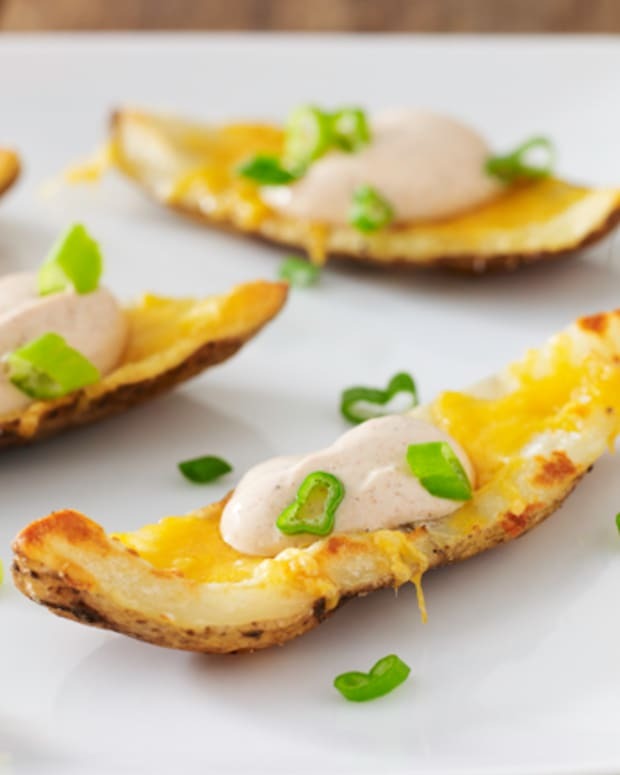 Place potatoes under the broil and cook for 3-5 minutes, until browned and crispy. 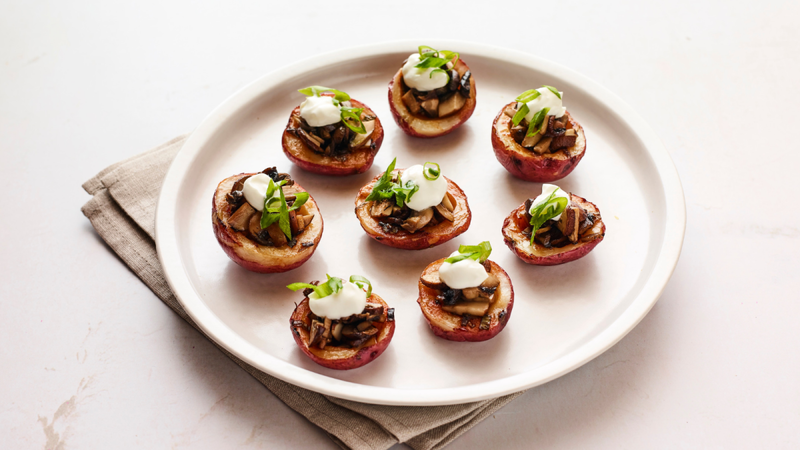 Fill potato skins with roasted mushrooms and serve topped with sour cream and additional scallions.